While you won’t see many people using wall-to-wall shag carpet anymore, it has made a comeback as great area rugs, providing a soft, cozy rug that can help bring warmth to a living room or bedroom. 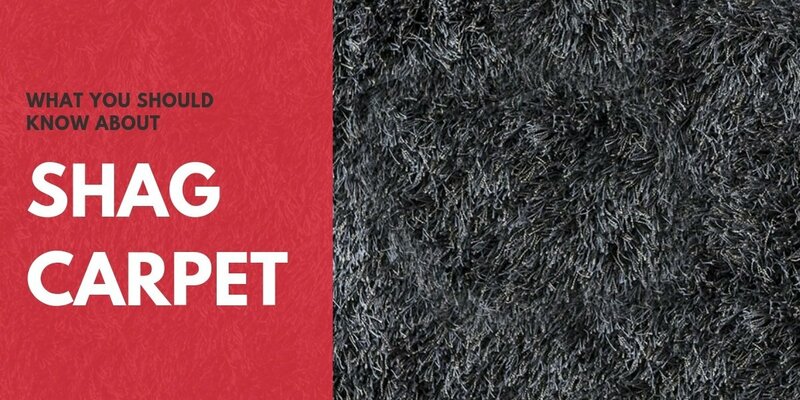 Here’s what you should know before buying shag rugs. Shag rugs come in a huge range of colors that go with just about any interior design scheme. Gone is the burnt orange of ’70s shag. You’ll now find a huge range of grays, beiges, and speckled browns. One reason why wall-to-wall shag carpet went out of style is that it does not hold up well in heavy traffic. It mats easily and requires much more maintenance than other carpet styles. Even with regular vacuuming, it can easily trap dirt, pet hair, crumbs, and just about anything else that may fall on the carpet. For these reasons smaller shag area rugs in low traffic hold up and last better than wall-to-wall. While shag carpet does not necessarily cost more than other carpet styles to purchase and install, it does cost more long-term. Carpet cleaning companies will charge more because it is harder to clean, and shag carpet will need to be replaced faster than other carpet types. Modern shag carpet and area rugs have made a comeback and have come a long way from the old school 70s shag. It is soft and comfortable underfoot with a look of luxury that is hard to beat. The problem with shag is that it is hard to keep clean and requires high maintenance. For these reasons, shag area rugs have become more popular than wall-to-wall, allowing you to enjoy the comfort and look without the large price tag.